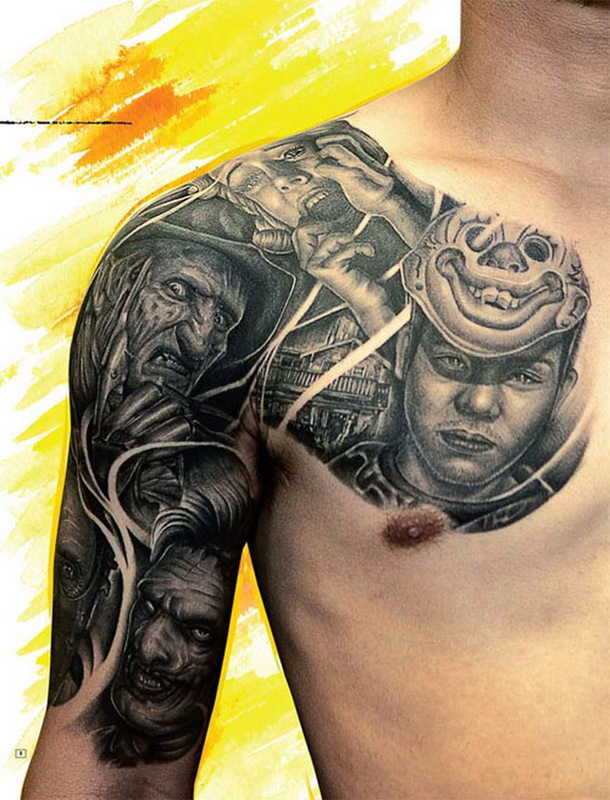 Full color, realistic, epic tattoos are great for both sexes, but men generally have a bigger canvas on the chest and back, especially if they work out and are in great shape. 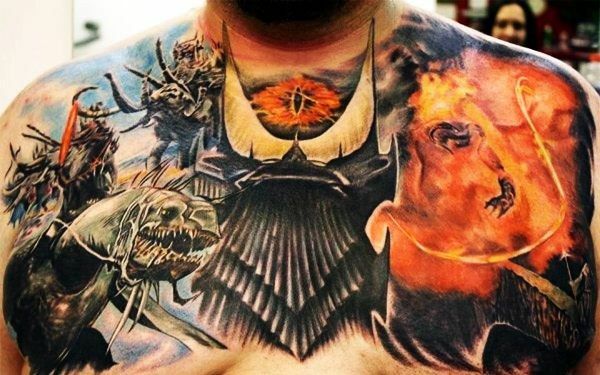 These epic tattoos are often a mix of fantasy and reality. The possibilities for this kind of tattoo are only limited by the wearer and the artist’s imaginations. Skull tattoos are classic. They are always trending. 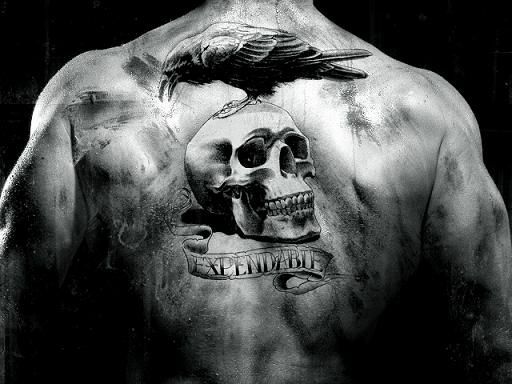 This is a safe tattoo trend to decide on, no matter what style you get your skull in and where you get it on your body. The following tattoo trends are classic trends that will not die with time. Both are very masculine and can easily express your inner self, whoever that might be. Animal tattoos are a great choice when expressing meaning through tattoo. 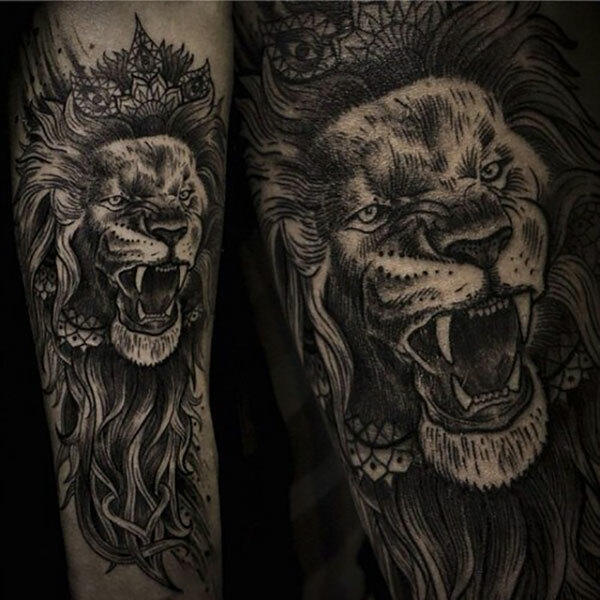 Because there are so many different types of animals with different temperaments and qualities, you can use one that truly represents who you are, like this fierce lion in the image above. Old school or traditional tattoos are an amazing part of tattoo history and culture and are still trending today, especially among younger tattoo wearers and first-time enthusiasts. Traditional tattoos are a great choice because they are a lasting classic trend, and are seen as very masculine. 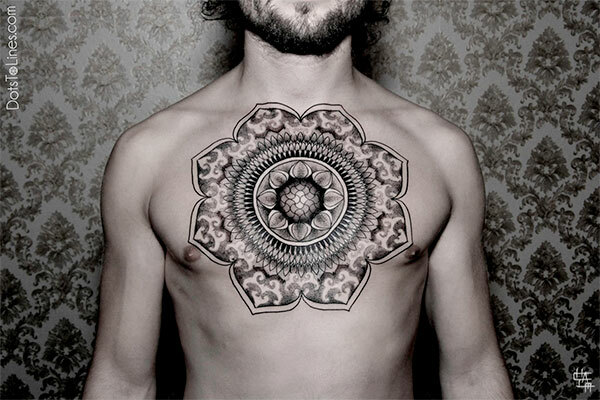 Mandala tattoos are a top trending style and subject matter. They often are only one or two colors and are absolutely stunning when done right. Mandalas are great for the chest or arms or legs. Because they are very graphic and symbolic, it is easy to align significance and meaning only known to its wearer. 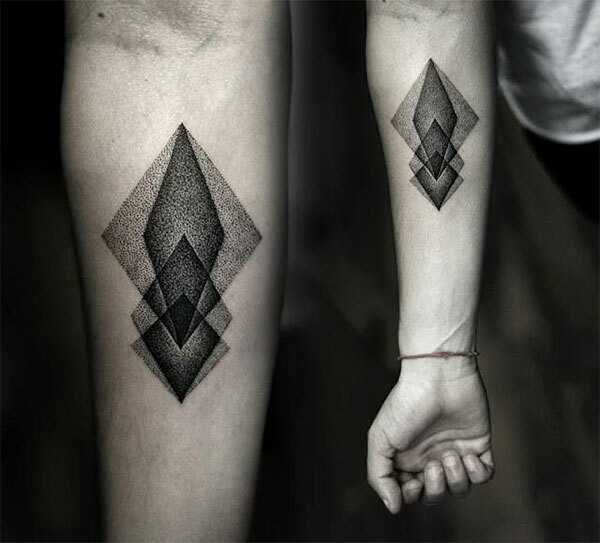 Geometric tattoos are all the rage, but this is not a trend that will burn out anytime soon. Because it is the beauty of math and shapes, it is still very classic in its subject matter and execution, usually only being one or two colors, or if full color, simplified into the geometric shapes. 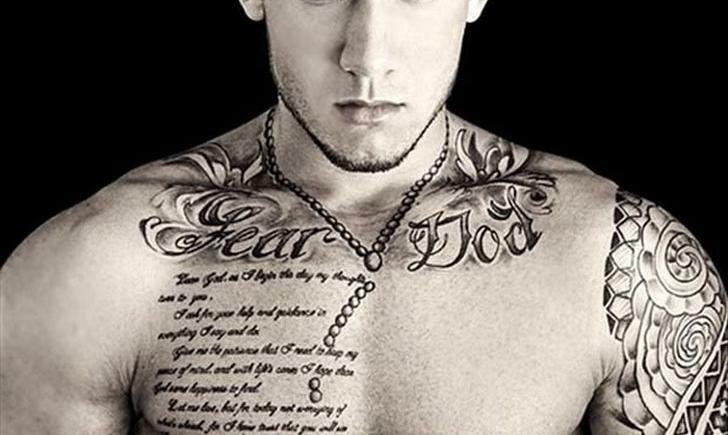 For guys, the chest is a part of the body they like to show off, especially with some amazing ink. 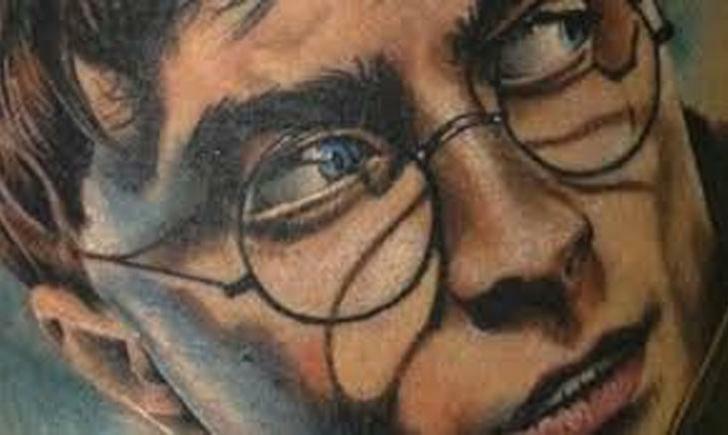 These trending tattoos have more to do with placement than with subject matter or style. 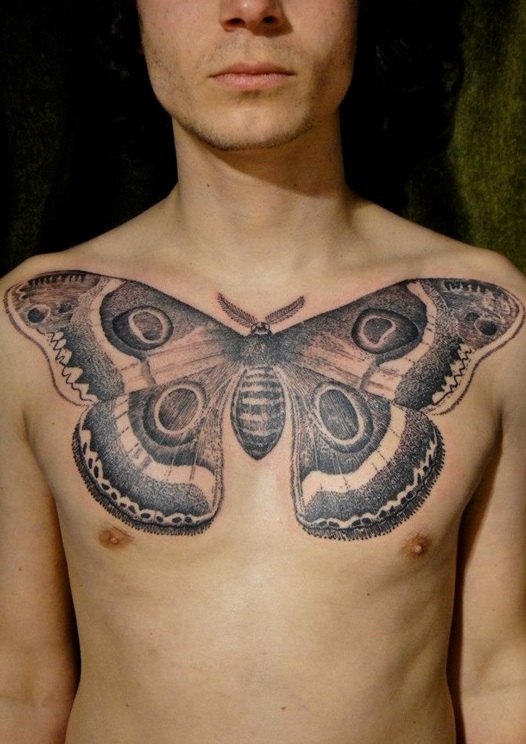 Chest tattoo that is fairly symmetrical on both sides of the chest. 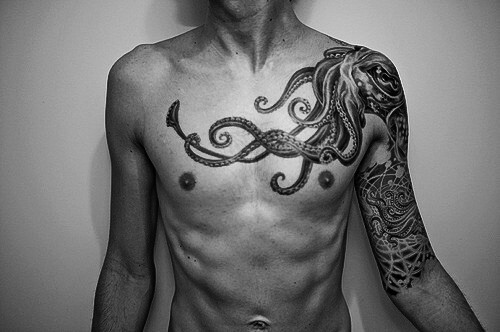 Usually, it is only upper part but sometimes it’s a tattoo that takes over the entire front torso. The chest and shoulder tattoo is a great play on asymmetry. By choosing one side of the chest over the other and continuing on into a half sleeve, it creates a very dynamic effect on the wearer. Great ink can express just about anything. It can even create optical illusions on the body, to make viewers take a second, third, or fourth look to figure out what they’re looking at or wonder if their eyes are playing tricks on them. Tattoos that interact with the body. This tattoo looks almost like it’s animated, or moving. A great tattoo artist can create this effect. 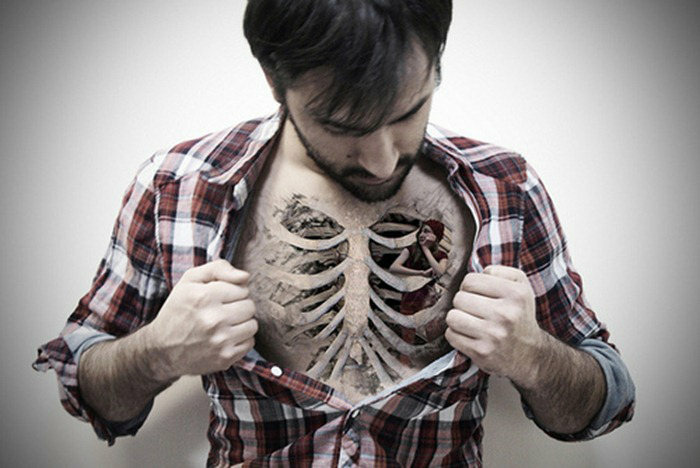 Exposed bones are an amazing tattoo trend. Not sure if this will become dated if done too often, but it takes quite a bit of skill and knowledge of anatomy to get just right. Whether this is a true lasting trend or not, the effect is incredible.